A key appointment as part of the transformative plans for the Parish of Preston is announced today. 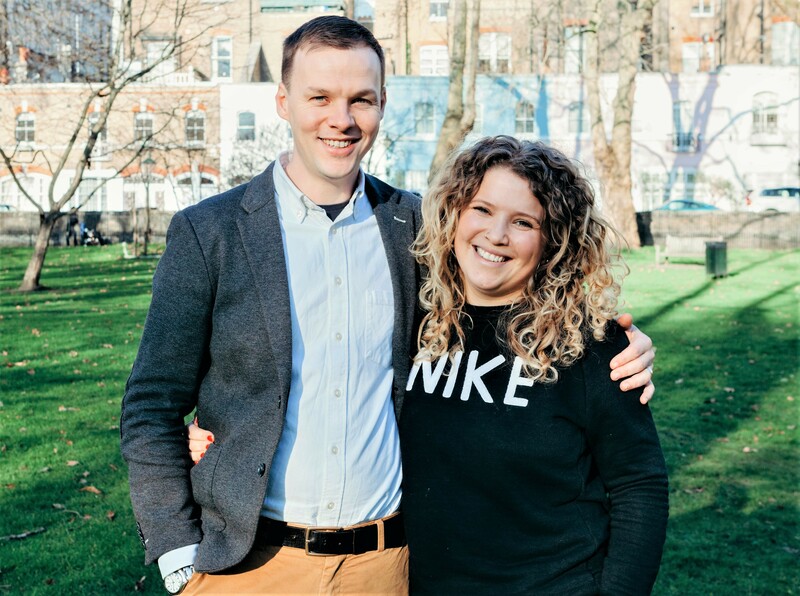 The new Vicar of Preston will be Rev Sam Haigh, pictured with his wife Hannah, who was most recently a Curate at Holy Trinity Brompton (HTB) in London. It was announced in January by The Church of England in Lancashire that £1.5m of Strategic Development Funding (SDF) was being invested by the national church in the future growth of the Parish of Preston. The plans will reinvigorate Preston Minster and St George’s in the city centre, encouraging growth across traditions and creating a ‘Resourcing Parish’. The fresh focus will include specific remits to reach out to those with no current church connection; people aged under 25 years old and to the local student population, utilising a combination of an outward-looking focus, sacrificial generosity, excellence, boldness, hospitality and creativity. The ministry team will include clergy who will spend a couple of years in the parish learning about church planting techniques, before they will themselves plant a church in one of the new housing developments springing up to the north of the city and/or on one of the city's social housing estates. As the new Vicar of Preston, and currently Vicar-Designate, Rev Sam Haigh will have responsibility, with God’s help, of ensuring the plans become reality. He will be licensed as the new Vicar in April. The whole project is a partnership with HTB, Sam’s previous church and home of the internationally-known ‘Alpha’ Christian discovery course. Sam’s work in the new Resourcing Parish will build on the legacy of Fr Timothy Lipscomb, and the interim ministry of The Ven Michael Everitt, Archdeacon of Lancaster, (pictured) in their role as Vicar of Preston. A northern lad, Sam hails from Keighley in West Yorkshire where he attended Oakbank School. He became a Christian at 18, while attending St Mark’s Church in Utley. Currently aged 33, Sam is married to Hannah and they have five children ranging in age from 18 months to 9 years. He says: “At HTB I have been equipped for the role I am about to undertake; particularly learning about planting churches, which is a key element of what Preston Resourcing Parish will be about. “I am delighted to be coming to Preston and to be overseeing a new chapter in the history of the Parish. “I look forward to working with members of the existing congregations to serve the people of Preston in the years ahead. The concept of a Resourcing Parish in Preston was first proposed in March 2016 following a visit to the county by Rt Rev Ric Thorpe, Bishop of Islington, who also has a national remit for church planting. Over the next two years a small team led by Rt Rev Philip North, the Bishop of Burnley, developed the concept into a full-blown application for SDF. 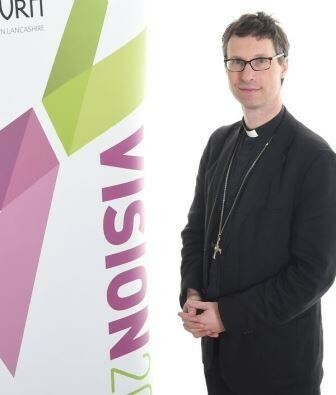 Speaking today, Bishop Philip added: “Sam is a fantastic appointment who will steer a refreshed Parish of Preston towards exciting new frontiers. Archdeacon Michael, who held the reins as Vicar of Preston after the retirement of Fr Timothy, said: “Sam and his family will be welcomed to Preston by a congregation ready to seek God’s heart for the future of the church in Preston city centre and the surrounding estates. “At the same time, we will retain our position at the heart of civic life in Preston, as we move forward with our plans across church traditions.